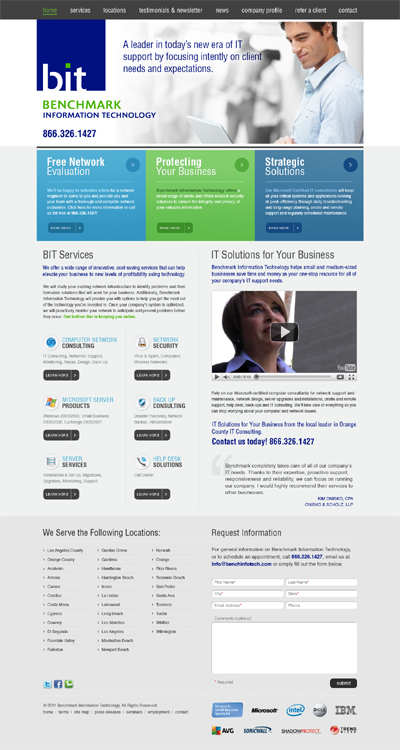 One of the goals of BIT was to drive more business to their website via SEO. While working on developing an SEO campaign for them it became apparent that to be able to implement a successful campaign we would need to redesign and develop their website to maximize SEO potential and customer acquisition. The new site will also allow the owners to quickly and easily be able to manage their site on their own, allowing them to make updates and changes without having to have a web savvy professional on staff.